The Albuquerque Loc Doc - Fast Affordable Mobile Locksmith servicing Albuquerque. Emergency Locksmith makes Chip and Transponder keys on site. 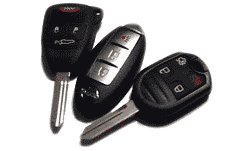 Fast Affordable Mobile Locksmith servicing Albuquerque. Emergency Locksmith makes Chip and Transponder keys on site. The Loc Doc has been servicing Albuquerque and surrounding areas for 29 years. Reasonable prices and NO HIDDEN FEES. Copyright © 2019 Loc Doc Albuquerque. All Rights Reserved.